Use our software and save thousands! 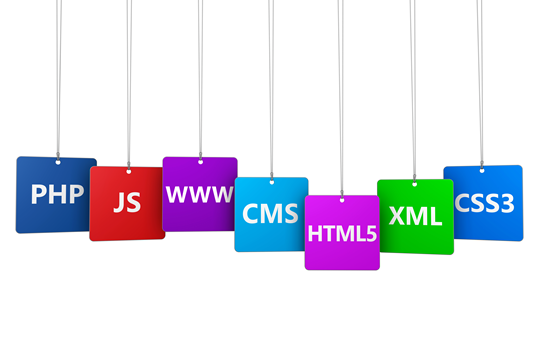 With our custom built content management system you will save thousands on site edit and change fees. Instead of emailing us photos, text, price changes, news etc, just add it to your site. Take photos or videos on your smartphone and have them on your site in seconds. It’s easy and we have hundreds of references that agree. Personally designed to your website so everything matches perfectly. Editable and accessible from any internet device at any time. Secure and safe and you can restrict access to specific areas for staff. 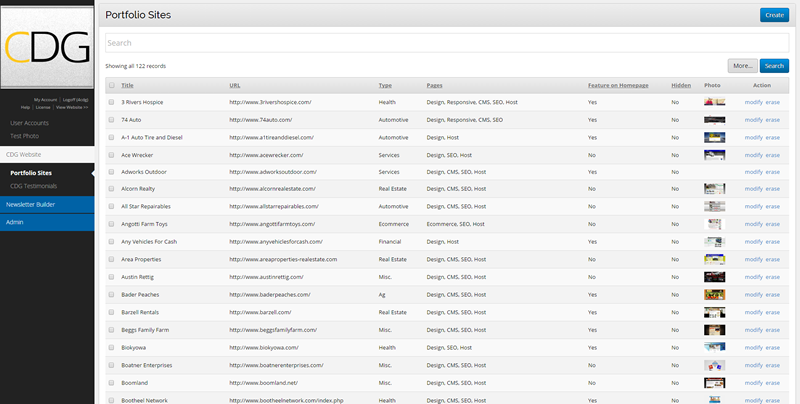 Edit inventory, products or staff and services at any time with the CMS. Have your website ready to respond to any emergency or competition with one click. Edit from any device anytime. Secure and safe, our software works. Handle any emergency from your smartphone. 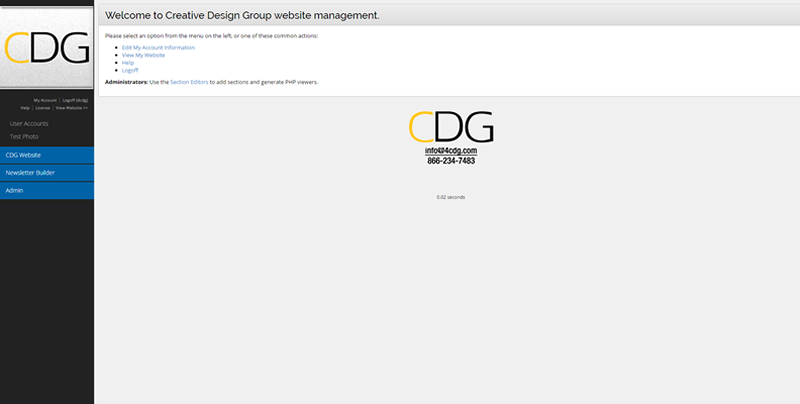 We used Dave and CDG for our website design. All I had to do was send some basic information and they created a professional page (that looks amazing) that is also easy to manage any time we need to make changes. 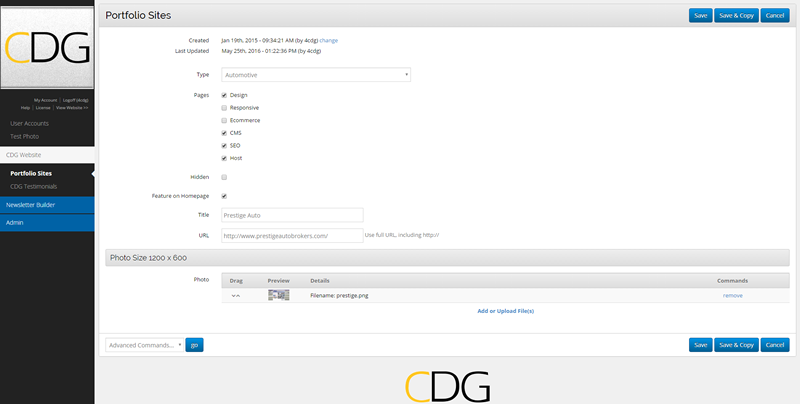 CDG also created an email portal for us. They helped every step of the way since none of us here are computer gurus. Any time I have a question we get the answer in seconds and they even walk me through it when I get lost. We love CDG! I was so impressed with the CDG team and their talents to create a professional website for my new business. I had ideas in my head and words that I could say, but WOW! I don’t know how they did it, but my website is exactly what I had envisioned but wasn’t sure I could explain. They designed the website and helped me to understand how to manage and edit within the site. I’ve had so many compliments about the site. I’m so proud of what CDG has done for me and my business. A sincere thank you to everyone involved. We love working with Creative Design Group. Dave and the crew are always on top of their game, letting us know how to optimize our site and our web presence. I highly recommend Creative Design Group.